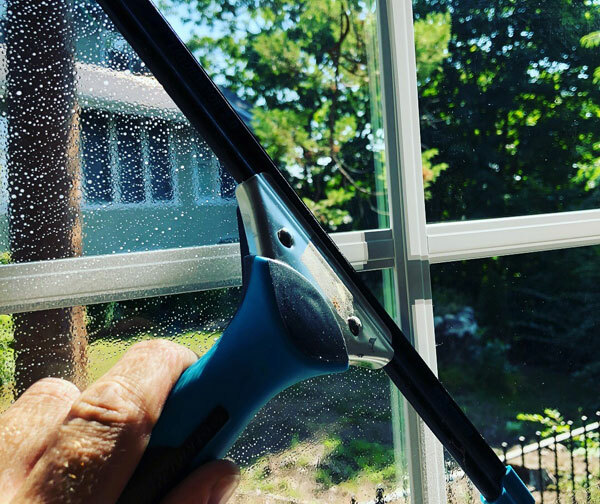 Stead Window & Gutter Cleaning has been proudly serving clients in Wakefield and surrounding areas in Northern Massachusetts since 2012. We are a local business, owned and operated by firefighters, and not a chain, so you can be assured of dependable and personalized service. Stead Window & Gutter Cleaning will help keep your home or business beautiful. We clean out gutters and downspouts, perform gutter repairs, pressure wash hardscape, maintain roofs, and of course we can get your windows sparkling clean. Do you have wooden gutters? We can oil them to perfection, so as to help prevent wood rot. We offer services year-round, from spring and fall gutter and window cleaning to roof snow removal in the winter. We work with home and business owners, as well as real estate agents preparing homes for sale. Stead Window & Gutter Cleaning will help you maintain the value of your home. Contact us today to book your fall gutter cleaning!